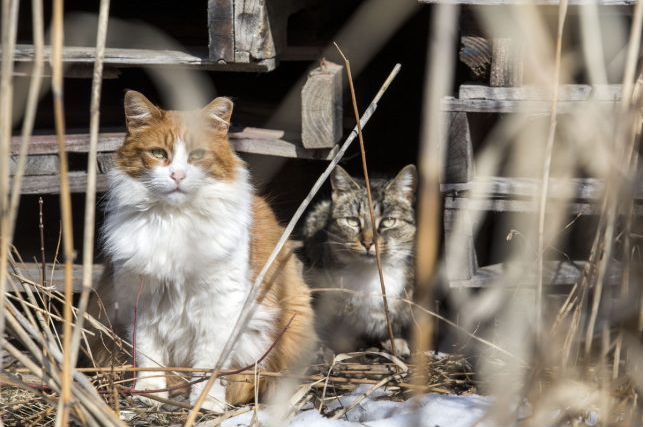 thestar.com 17 March 2016: Toronto Humane Society’s Barn Cat program helps manage local feral population, but some worry about the effects on other species. Standing in the back of a building’s off-loading station in a Caledon industrial park, Lorena Rossi and Francesca Cicca de Marco blow kisses at two cats sitting warily on the other side of a fence. Teddy and Cheddar are half of one of the feral cat colonies Rossi takes care of. It’s a way of managing the seemingly ever-growing and roaming outdoor cat populations. By setting up feeding stations and small insulated shelters, the pair says, the territorial cats establish a colony. They don’t reproduce, either. 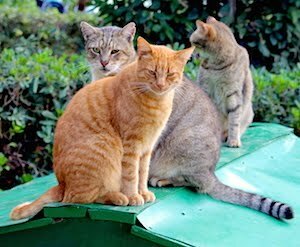 Rossi’s feral cat colonies in Caledon are part of “trap, neuter, return” (TNR) programs, which the City of Toronto has endorsed. Businesses in the industrial parks call Rossi to have cats that have found shelter in...read on.